The new trailer for season two of The Punisher is officially here! Jon Bernthal return to his role as Frank Castle aka The Punisher; the vigilante introduced in season two of Daredevil. 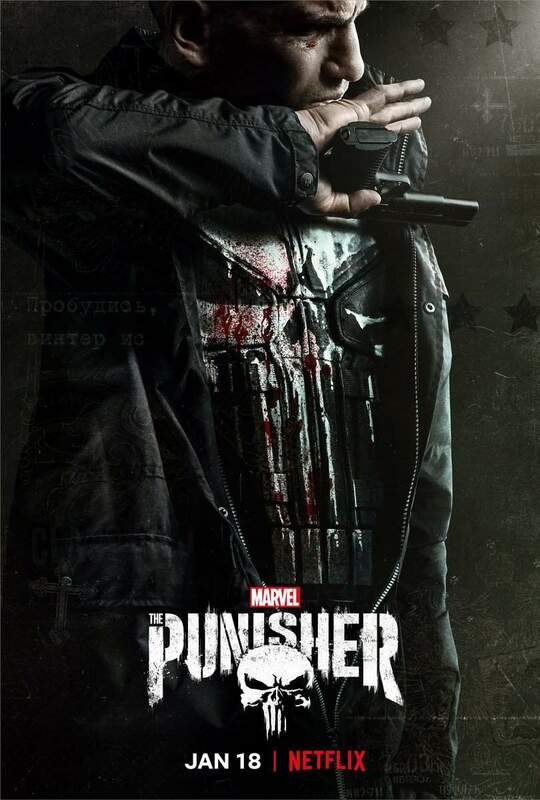 Season one focused primarily on Frank’s hunt for all those involved in the death of his family, however in season two Frank will embracing the persona of The Punisher according to showrunner Steve Lightfoot. Billy Russo (Ben Barnes) will be returning as well as a new foe- John Pilgrim- played by Josh Stewart. The Punisher is only one of two of the Marvel series remaining on Netflix after a flurry of cancellations. In addition to the trailer, a new poster was also released ahead of the January 18 premier date.